Apartheid, Justice, Libertarianz, Nanny State, National Party, Propaganda, Sheeple, Socialism, Te Tiriti o Waitangi, Treaty of Waitangi, Vote Wikiriwhi! What a joke The ‘Renaissance in Maori culture and treaty settlement process is! All the Billions of dollars and assets of the so-called ‘Maori economy’ are enjoyed by the Aristocracy while the average Maori tribesman are just the miserable chumps wallowing in racism , dependence, and poverty! According to the NZ Herald despite all the Political favoritism and Nannyism, The Income Gap between Maori and Pakeha continues to widen. Yet what would you expect? 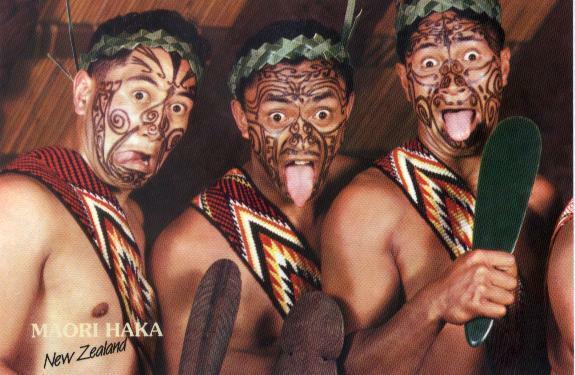 Learning TeReo Maori, and doing The Haka don’t have any economic value Homie! The whole ‘Treaty partnership’ is a massive joke at the expense of all New Zealanders esp the foolish Maori whom are being deceived by the Political Class shyster Maori Lawyers and Elite into supporting the Separatist movement. When will you understand that the only people oppressing you are your own leaders who fill your heads with race hatred and ensnare you in a victim mentality? The average Maori would be much better off keeping their cultural interests as private pleasure, forsaking all the Race hatred and ‘blame’ that the separatists cultivate, and instead encourage their children to stand on their own two feet as individuals and take responciblity for their own well being… stressing the importance of the study English, Math, Engineering, etc. Then watch a liberated Modern Maori make their escape from the Racist lies and delusions and compete as equals in the world. This is how Moari must seek to improve their Economic lot (and escape the ethical poverty which sees them filling Jails, hospitals, and morgues). By Hard work and self reliance. Socialism is a scam! A Trap. A complete failure! Important note: I am not saying Maori people ought to completely forsake their culture. I am saying the Bogus Political Agenda, racial separatism, and its fabrication of a false Renaissance has led Maori down a very dark and deluded path. And that they must stop following their Evil racist leaders who pretend to have the ordinary Maori’s best interests at heart when in reality they only give a damn about themselves. Previous PostMale circumcisionNext PostHow many legs does a donkey have if you call the tail a leg? I agree with you and its a big concern for all New Zealanders. I have to agree with you on the matter that our leaders arent really changing our status as a poeple cause in all rights we should be running govenrment not the european scum who brought this system to our country. (anyway that is beside the point). If you are against the total emersion movement and its meaning then you are just as much scum as our leaders in Parliament. Our leaders are the way they are to play the game that your people bestowed upon us. So tell me Pitiera Tiopira if it feels any better being looked down upon by the Maori elitists rather than how you imagine Pakeha have done? And I wonder how would you treat Pakeha if you were in power? And what system would you prefer… a tribalist hereditary society of chiefs, aristocrats, warriors, and slaves? What makes you think this system would personally benefit you comparative to what you have today? You do realize that the Maori chiefs of 1840 petitioned the King of England to bring British Rule here to end the savagery of Pre-European Maori Anarchy? You do know they willingly signed the treaty, and became British subjects? You do know that they had another Waitangi @ Kohimarama twenty odd years later and Re-confirmed their pledges to the British Crown? Write a 1000 words on the history of Colonization, and I will put it up on this Blog.